One style of coat has eluded my winter wardrobe. The puffer coat. Seeing a couple pop up on my Instagram feed got me yearning for one and I've been trawling the net for the past week trying to find 'the one'. 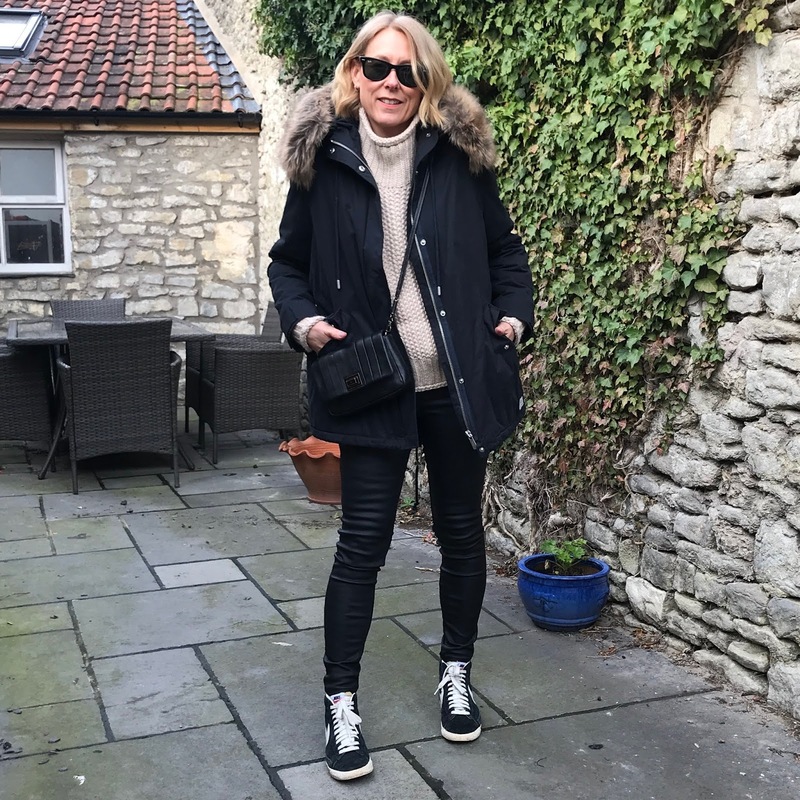 A trip into Bath on Tuesday to meet a friend for coffee meant I had just enough time to dive into H&M to get my outfit of the day photo. And would you believe I found exactly what I was looking for in the dregs of the sale. You have gotta love H&M for yielding their little end of season treasures. I bloomin' love it! There is plenty of room in it for layers. The collar is actually a hood. It is soooo cosy. And it was only 30 quid! I'm only sorry I can't find it online for you. The artic blast is forecast to be with us for a couple of days so I am turning to my cosiest knits! 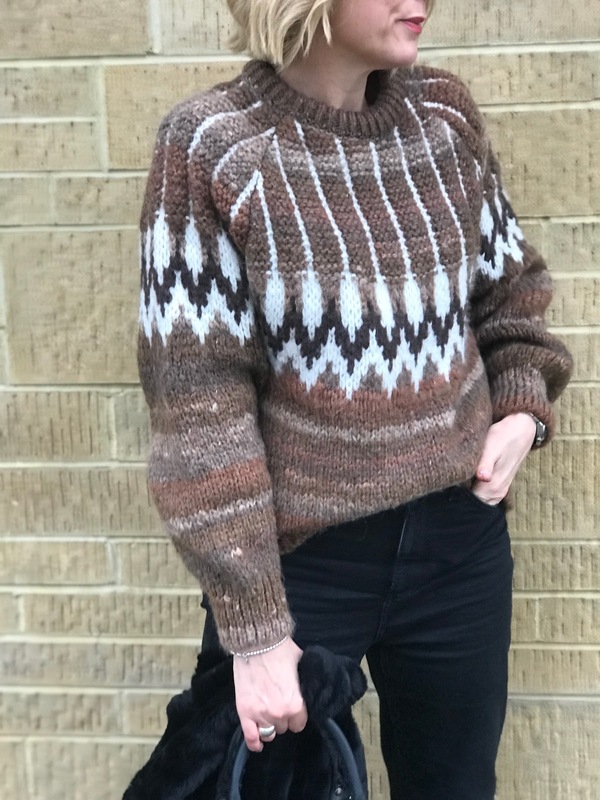 So happy I managed to snag this Mango sweater in the sale. I'm a bit late to the party to get on board with the Sarah Lund inspired trend....but better late than never to the Scandi style. I've added a bit of interest by layering it over my new H&M blouse with the frilly cuffs peeking out. Either I'm a week late to the party.....or it's the Monday blues here instead. No motivation to do anything today so it's been a very lazy one for me. A sweatshirt and jeans have been the order of the day as I've been curled up on the sofa binge-watching Tin Star Season 2. Anyone else been glued to it? Maison Labiche Blondie sweatshirt via Hengelo Store, #gift - HALF PRICE NOW! Given the temperatures you are forgiven for thinking I should have had a few more layers on today. However I have spent most of it in the car taxi-ing my daughter here, there and everywhere. I am currently kicking myself for not slapping on more SPF than usual.....the wind may have been cold and fierce but the sun was full-on through the windscreen. Lesson learnt. At least my outfit suited it's purpose. No change from my usual uniform I'm afraid! I was out of the house early to pick the pooch up from his doggy-day care sleepover so it was a case of chucking on the easiest thing to hand. An outfit made up of wardrobe basics that are easy to pull together. 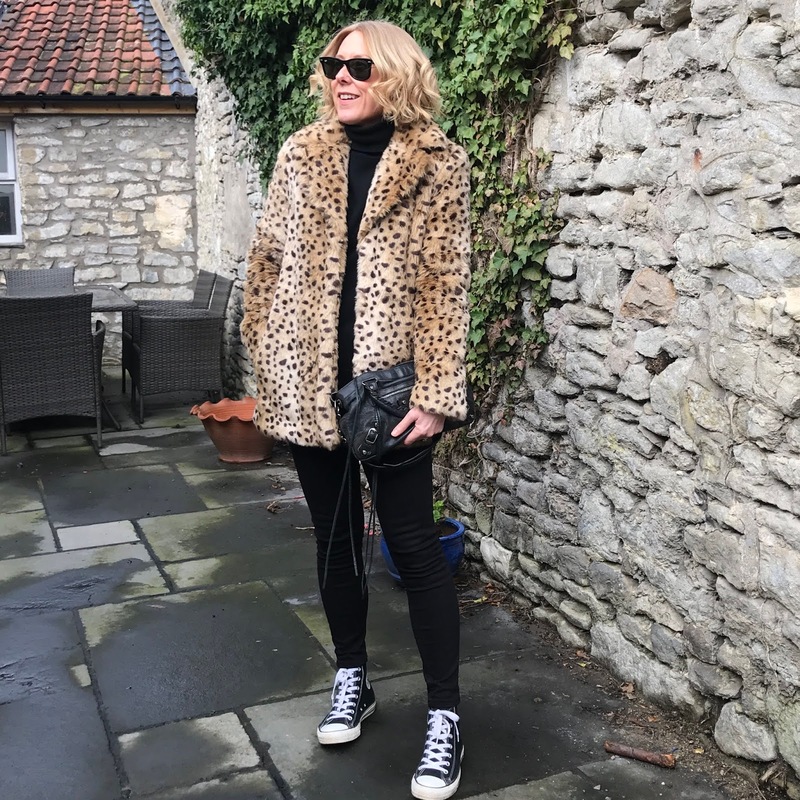 You can't beat an ensemble made up of some leopard print, black and Converse can you! 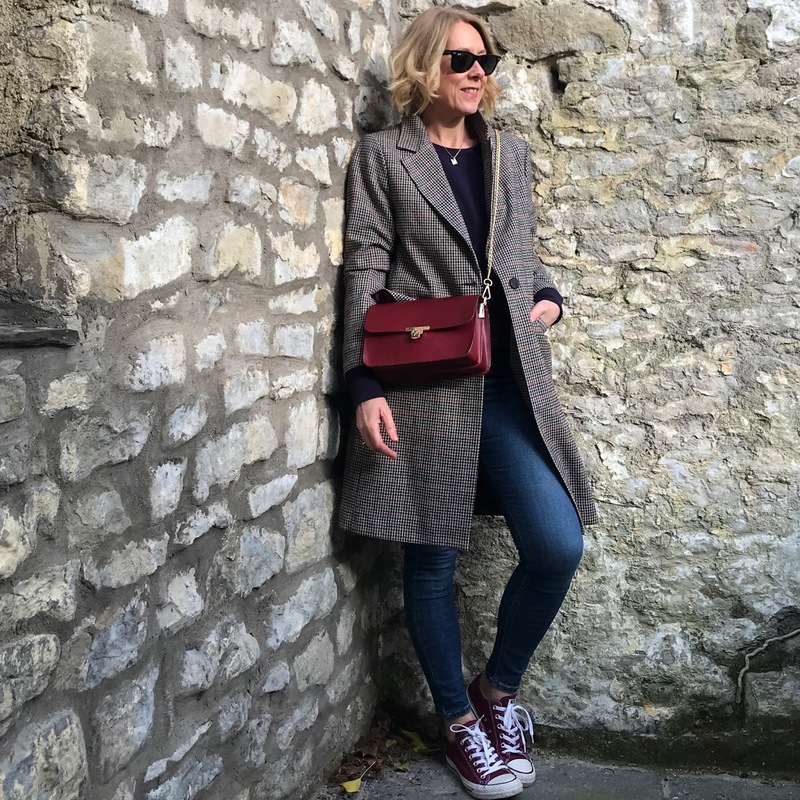 Balenciaga bag, ancient - check out Vestiaire Collective for preloved ones! You may be shocked.....and relived to see only a couple of things on my wish list this week after my recent spend shenanigans! And I'm starting with shoes again. But! Feast your eyes on these beauties! They need no explanation as to why they are making an appearance here. 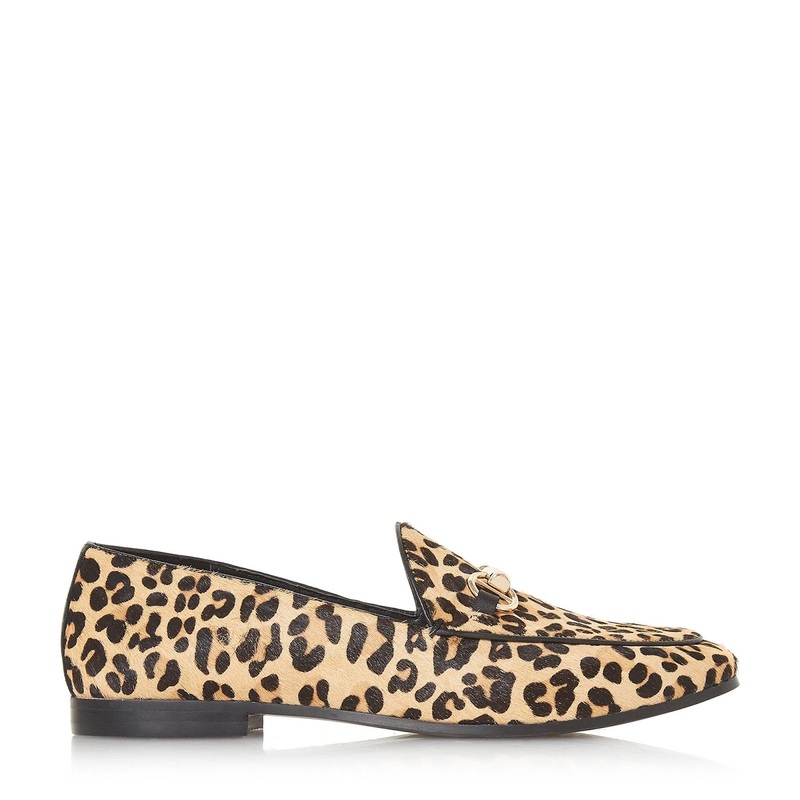 These Dune Loafers very likely to join the red and black pairs that are already residing in my wardrobe. These will be great for elevating a few spring looks won't they! Confession time! I've had a spendy week. But yet again a few coveted items have been secured. 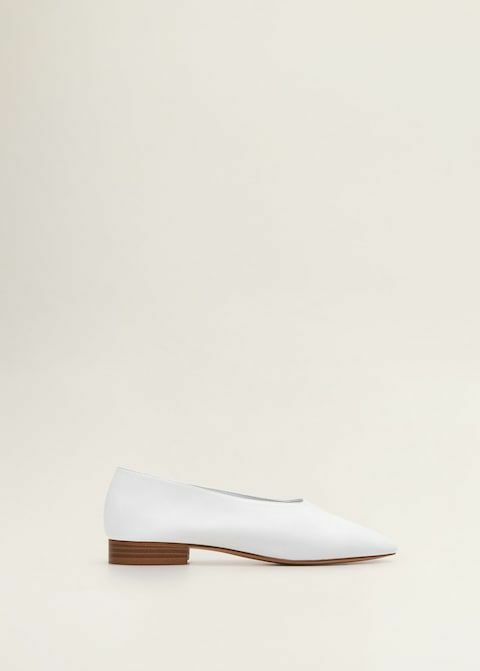 Firstly thank you to the super stylish SamStoneStyling for giving me the heads up that these Mango pumps had come back into stock. They did these last year but by the time I decided I *needed* them they were sold out. 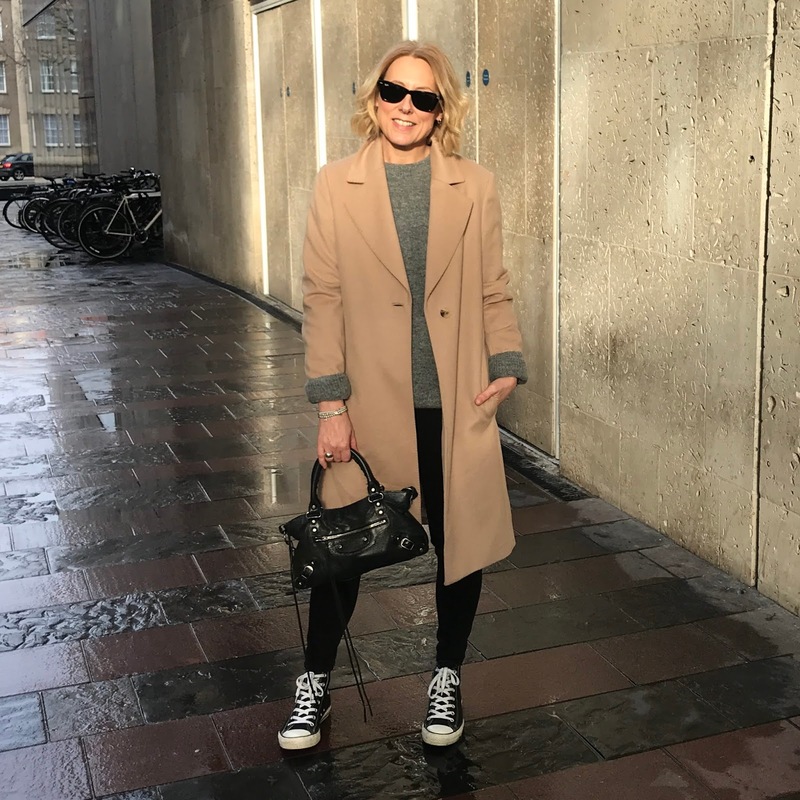 I had a pair of Office white Gucci loafer dupes a couple of years ago and I lived-in them, they went with so much in my wardrobe. The moment the opportunity arose with the Mango ones I did not hesitate to click that button straightaway! 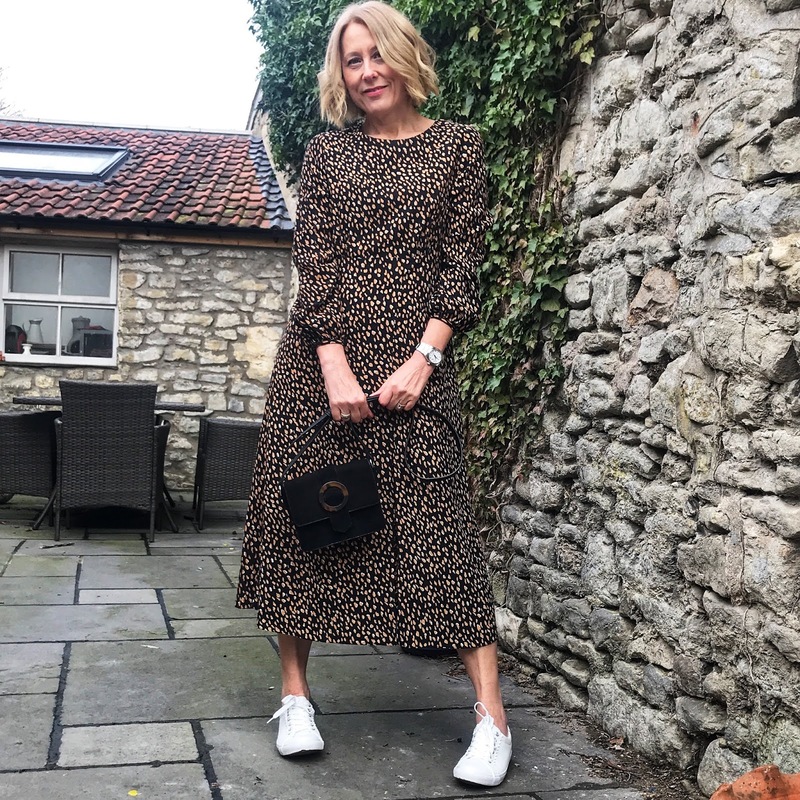 #sorrynotsorry ......I'm banging on about that New Look dress again! It has occurred to me that it's a more practical piece than the & Other Stories one on my wish list last week. It's the same style and shape, I think the colour and print is easier for me to carry off........and as it is less than half of the price of the & Other Stories one it's hands down a #winner. ASOS Anarchy boots - reduced in the sale! Head to toe in New Look. If you want to get your hands on their best sellers you need to constantly scour their "New in" section. Love this dress! Great for Spring....though it's totally versatile as it can be worn in a multitude of ways. I have big plans for it so expect to see it on my grid often! I've been looking forward to today all week. 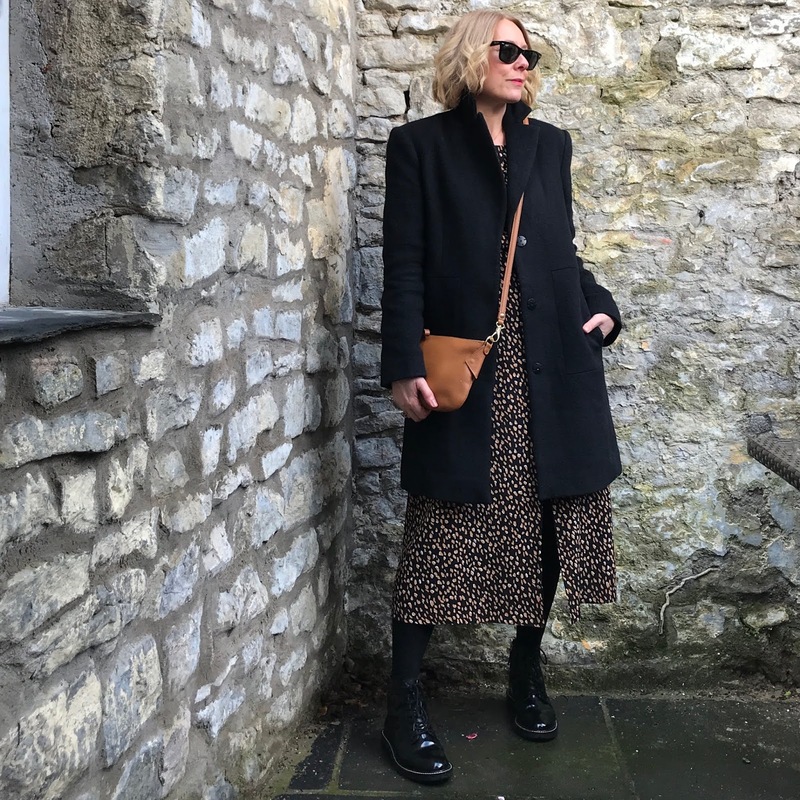 I've met up with my coolest friend......her style is amazing and she always inspires/influences a purchase or two ;0) We've been into Bristol with our daughters who go off and do their own thing leaving us plenty of time to meander around our favourite stores. We ended the day on a high note with a cheeky glass of Prosecco in Harvey Nichols.......as is our tradition! So what I am wearing for the such an occasion. It's the standard uniform for me I'm afraid. Who remembers when I used to these on a regular basis? Here goes with the first of my weekly purchase confessions. If you want to see what I've purchased since the beginning of January there will be regular updates here and here. In truth I need nothing. I've had a huge purge since Christmas and really pared back to my signature look pieces. 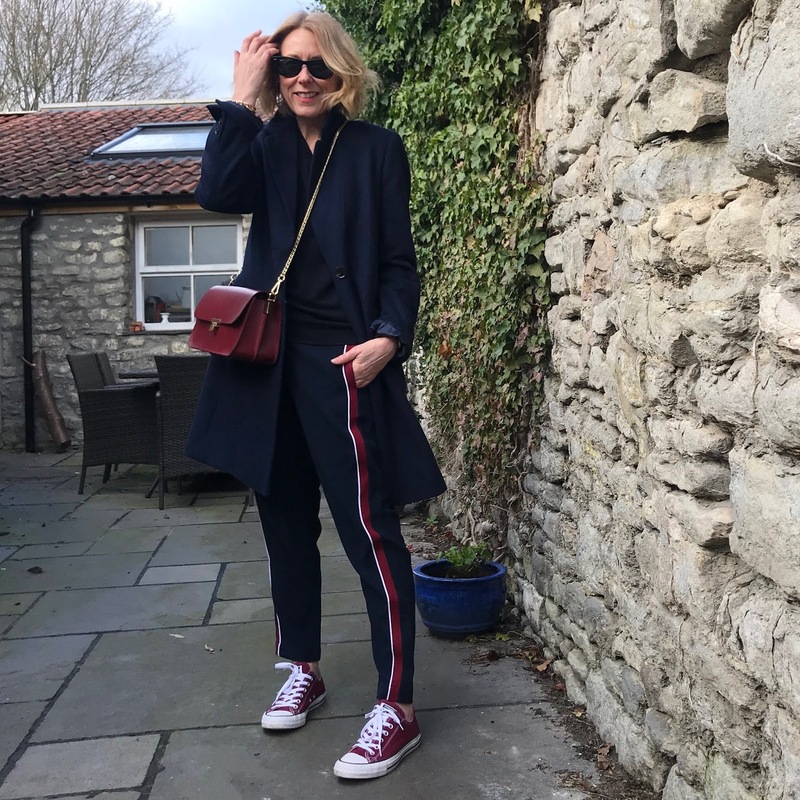 I've gone back to my Pinterest boards and I realised that I was missing a couple of things that would just bring a few more looks together from the outfit inspo I'd pinned. I've been grieving the loss of a H&M black pleated skirt that I ruined trying to remove a grease spot. I have hunted high and low to source a replacement but to no avail.....not one measured up to my original. So I decided to try something slightly different instead. I've gone for a black satin midi from New Look. 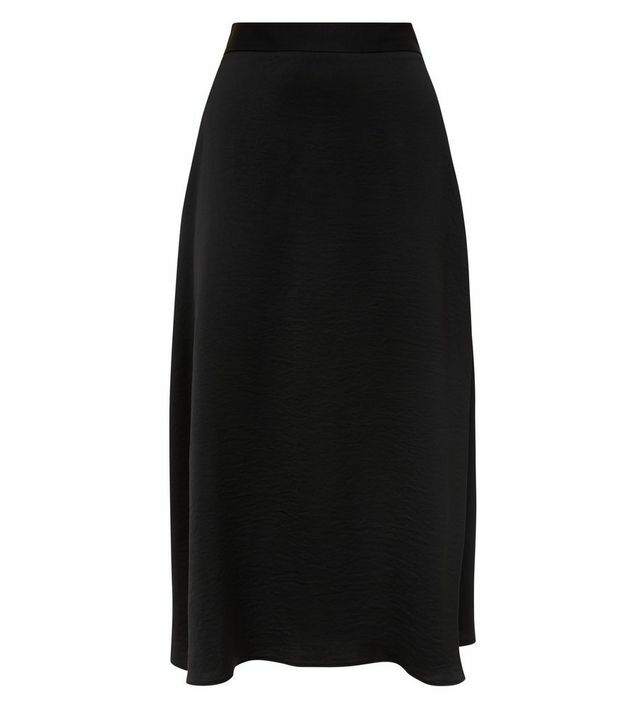 It is a super flattering shape......leaving none of the bulk around the middle that pleats are prone to doing. It's an absolute steal at £17.99. I've gone for my usual size 10 which is perfect though the reviews say it comes up large.....I am accommodating a few extra pounds after Christmas but not a whole size worth! Hand on heart I wasn't 100% about this coat when I bought it (A/W17) and I almost put it on eBay. Teddy coats had been around the previous Winter season but I was worried that it would be a one.... maybe two at a stretch, season wonder. So glad I hung onto to it as I no longer view it as a trend item....it is definitely now one of my go-to classics. It is so cosy and much more versatile than I originally imagined. The colour goes with loads in my wardrobe and it lends itself to a leopard print accessory really well! Mine is from Warehouse and it must have been a winner for them as they've done a similar one this year. Still worth investing in one as I predict I will be bringing mine out for years to come! It's official! I'm addicted to animal print! Zebra print has now joined my menagerie! Apologies that I've been AWOL from the blog. Have you missed me? Hand on heart I lost all motivation for it. People seem to prefer the instant inspiration gratification you get from Instagram these days.....myself included. I started to think the blog wasn't relevant any more. However, I had a little unplanned Instagram break - as in I didn't post everyday (as I usually would) for a couple weeks over the festive period. I just didn't feel like sharing. I actually found it hard to put an outfit together most days. I lacked inspiration and felt as if as I'd just fallen out of love with my wardrobe. It got me thinking about why I started on this blogging and social media journey. I realised I needed to go back to my roots to find the joy again. So here I am......with a plan. Let's see how this goes. I aim to do a short 'outfit of the day' post Saturday through to Wednesday. 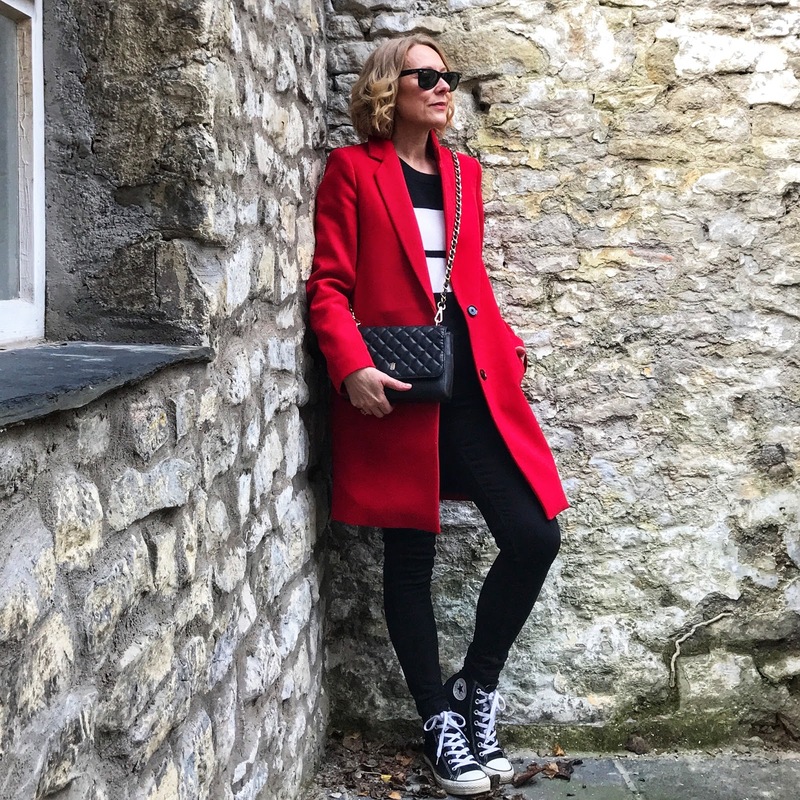 A lot of my favourite pieces are past season and I'm back into preloved clothing in a big way so I will find an alternative to link.....this is something I've always enjoyed researching. Please let me know if you find that useful. As I work part time on Thursday's and Friday's and it is nigh on impossible for me to get a decent photo at this time of year I thought I'd do a 'weekly confessional' each Thursday of what I've purchased during the week whether it be clothing, accessories or even a new product. If it's an item of clothing I'm going to show you at least 3 ways I intend to style the new wardrobe addition. On a Friday I'm going to do a "what's on my radar' post. Things that have caught my eye over the course of the week that I've jotted down on my wish list. I'm just going to keep the posts short and sweet as I know we are all pretty short of time.....and I'm guilty of being a skim reader of blogs myself. Ok, time to stop waffling. Without further ado........let's kick off this new regime with what I'm wearing today.